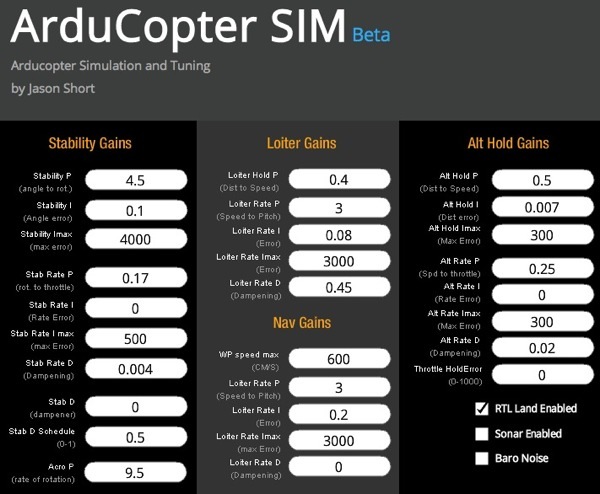 ArduCopter SIM « Adafruit Industries – Makers, hackers, artists, designers and engineers! This is a port of the Arduino based Arducopter Drone software to Flash for users to try AC’s features and to learn how to tune their drones. I hope it helps users learn more about PIDs, flight control, and sensors as well as prevent crashes of expensive drones!